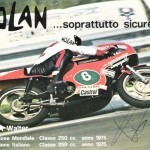 What do you get when you combine the style of Italy, a manufacture in Wisconsin, the money from bowling alleys and a little smoke? 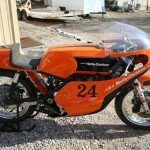 You get a 1975 AMF Harley Davidson Aermacci RR250 two stroke. 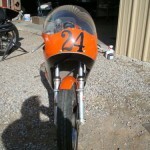 A World Champion motorcycle that dominated for 3 years and then disappeared. 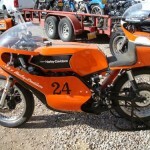 The seller says that it is museum quality, and offers a bill of sale from The Chandler Museum, so you get a good idea what the bike has been doing for the last few years. 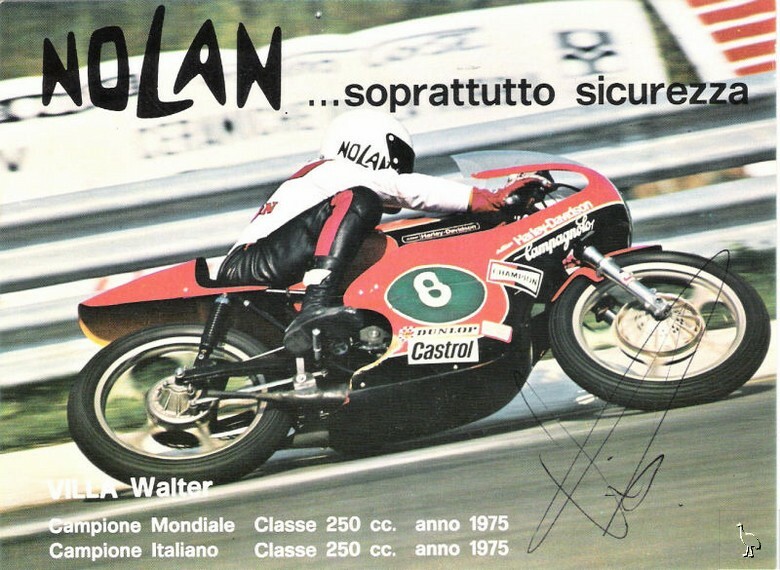 Walter Villa was the Harley Davidson factory rider who took the RR250 to three consecutive World Titles in 1974, 1975, and 1976, and a 350cc Title in 1976 as well. 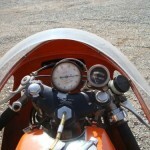 The first Title coincide with the first year that the RR got its water jackets. 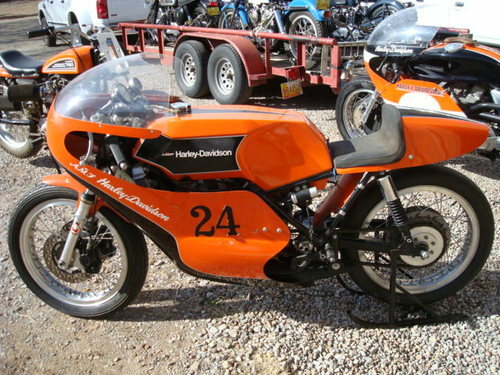 First put to work in 1971 the RR250 and its brother the RR350, were Works racers only, no companion bikes offered to the public. 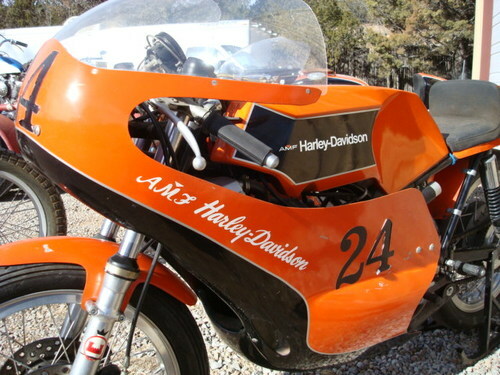 The first air cooled short stroke 250’s produced 50hp at 10,000rpm. 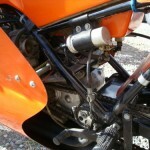 The engine and transmission design was unique in that you could quickly disconnect the engine, and simply plug in another 250cc unit, or the 350cc unit. 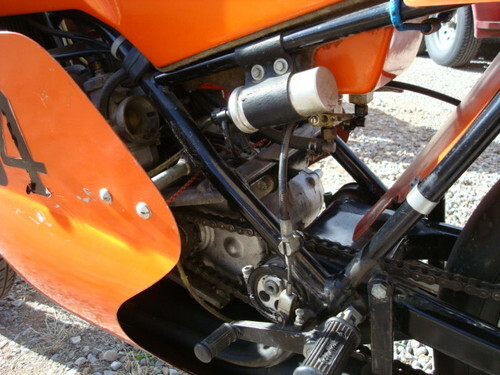 In 1974 Aermacci added the water jacket and the power jumped to 58hp at 12,000rpm. 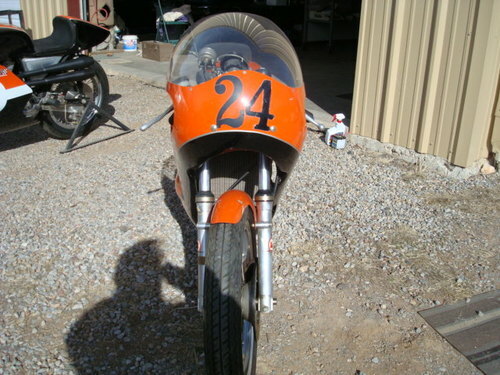 This combined with a light 230lbs was a factor in Walter Villa’s victory. 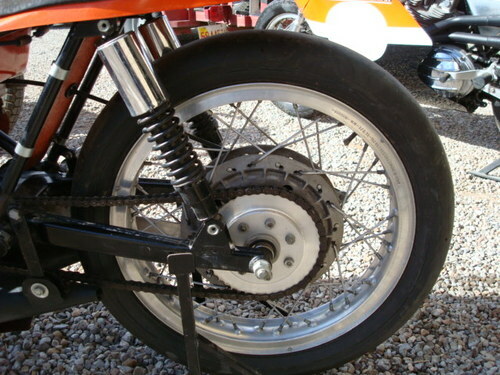 While looking into the RR, I found an interesting way to stop the bike. 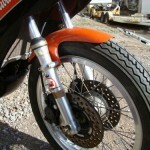 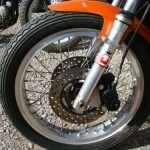 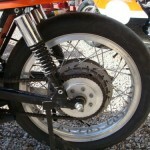 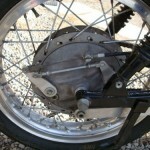 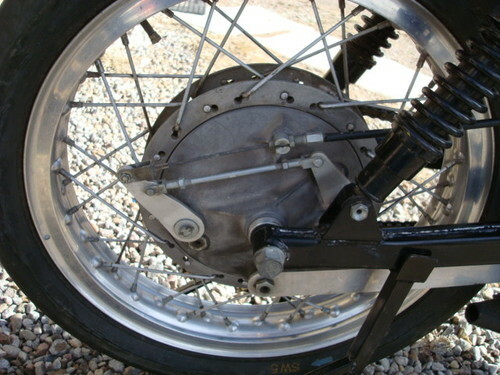 Unlike this RR250 offered up on eBay, the factory bikes had an internal disk wheel by Campagnolo. 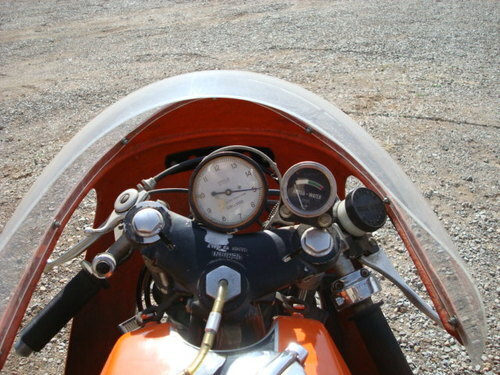 Only being able to look from the outside, I am still trying to figure out how this might work. 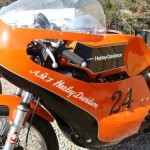 By 1975 Harley started to offer the RR to privateers, but had poor technical support, and a poor parts supply. 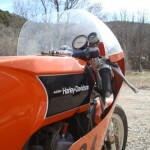 It was about this time the Aermacci and Harley started a 500cc two stroke project. 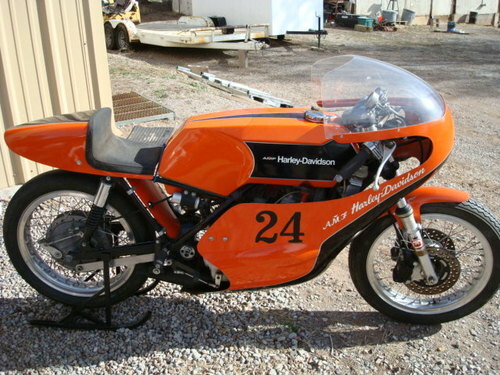 The plug was pulled by AMF, the money at Harley during this time, because road racing was not necessary to win AMA National Championship in the US. 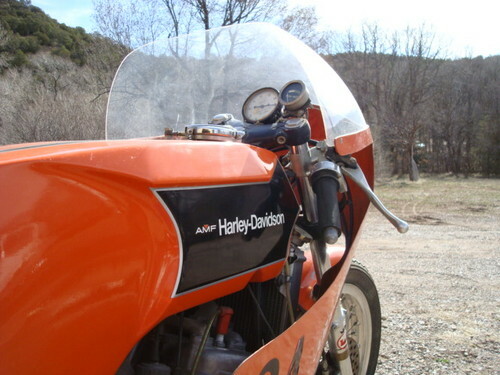 There was no incentive to put money into a discipline that would not generate money in the showroom. 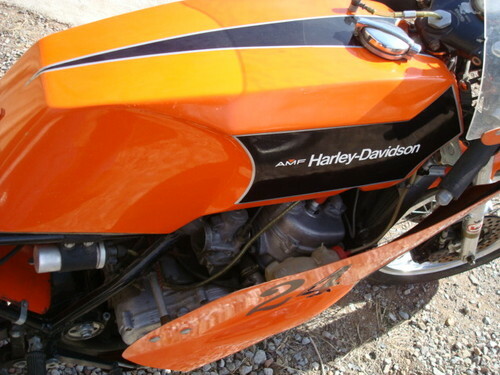 Whoever wrote this please contact me ? 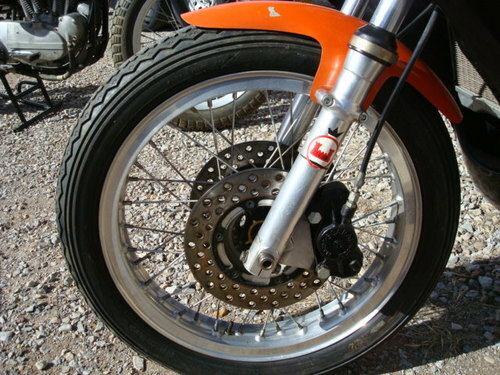 Unless someone else drilled the front disks exactly like I did, and someone else used the exact same honey bear for an overflow catch, this was my bike. 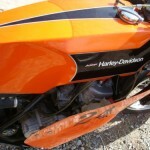 I bought it new, Dudley Perkins ordered it for me for 10% over cost. 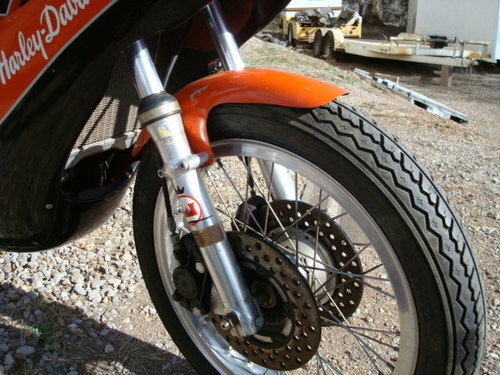 Rode it a few years in AFM, then foolishly let someone talk me into selling it.